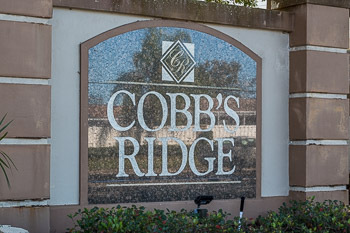 Built in the mid 1990's off Alderman Rd in Palm Harbor, you will find the picturesque community of Cobbs Ridge. With its meticulous upkeep, gorgeous landscaping and great location this neighborhood is a must see! Many homes feature 3 or 4 bedrooms, vaulted ceilings, walk in closets, plants shelves, master suites with garden tubs and gourmet kitchens. Outside, mature landscaping, screened lanai's, private swimming pools and fenced in over-sized yards make each home perfect for entertaining. These Pinellas County homes show true pride of ownership. Within walking distance to a major shopping center and US Highway 19 N., there is virtually every type of establishment right at your fingertips. Cobbs Ridge is located close to dining, shopping, fitness, salons, medical facilities, hardware store and so much more. Palm Harbor has excellent schools and this subdivision is reasonably priced for a newer home in Palm Harbor, FL. Come see it today! Selling your home in Cobbs Ridge? Allow us to sell your home in Cobbs Ridge and you will not be dissapointed. Our agents will work hard to make sure it gets sold quickly, all while getting you the best deal out of the sale. Call us today at Lipply Real Estate 727-314-1000 to speak directly with an agent or enter your contact information down below to email!